ESW specialises in delivering high-performance pure polyurea waterproofing for flat roofs, dormers, balconies, roof terraces, inverted and green roofs. With 30 year warranties as standard, our spray-applied seamless roofing membranes are dry in seconds, yet last for decades. Manufacturers of the BEST LOOKING aluminium glazed roof lantern in the UK. As a consequence of us being well-established, we have a good sized team of competent and capable roofers. We routinely train our personnel in order to retain our standards of work & additionally ensure that safety processes are properly followed. We know it isn’t ideal getting roofing work done to your property, however our staff are committed to conducting top quality roofing work whilst causing minimum disruption to your home. We take great pride in keeping our working environment clean & tidy. Roofing contractor/sub contractor specialising in stone roofing since 1996. I also carry out projects to all other styles of pitched roof. Based in south Gloucestershire I can provide a service covering Wiltshire, Gloucestershire, Bristol and Bath areas. 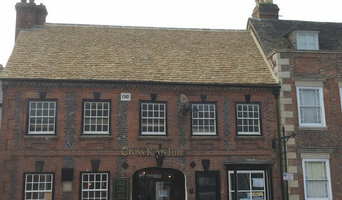 I have gained a passion and expertise working on historic & architectural projects: churches, farm buildings, conservation and many listed building roofing projects. ESTABLISHED SINCE 1990 We are a Well Established small company offering Personal Service Rates. We are specialist installers of PVC-U Facias, Soffits and Guttering. Installers with over 20 years’ experience. We offer a full roofing service. Numerous of satisfied clients. 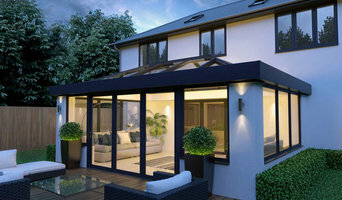 You ca see our work before committing yourself, as show homes are available throughout Bristol. The name Marden Roofing has been around the Calne, Chippenham and Devizes for 30 years. The original Marden Roofing Contractors Ltd ceased to trade in 2002 mainly due to the ill health of the proprietor. The present management purchased the name and resurrected the new company. With a comprehensive knowledge of the building industry the Directors set out to establish a company which gives a first class, reliable service at a realistic price. The whole team has a passion for excellence with a personal service. The company has enjoyed steady growth, helped by a large amount of repeat business from builders, developers and private clients. The concept of partnering is an important part of our ethos and we are pleased to work with our customers as a team, whenever possible. Welcome to PDH Roofing Experienced roofers in Chippenham, Bath, Melksham, Wiltshire and surrounding areas catering for both domestic and commercial properties. At PDH Roofing we offer a range of services which are listed below, we tailor your project to your individual needs so you can always call us for some advice and a no obligation quote. At PDH Roofing, we welcome all domestic and commercial customers across Melksham, Wiltshire and beyond. We have the skills and knowledge to handle any job professionally and efficiently. Our workforce are qualified tradespeople who ensure a professional finish, and we supply and install only quality materials to enable us to complete all work to the highest possible standards. PDH Roofing are proud to be members of the Federation of Small Businesses. ABOUT US Chris Pritchard Roofing Ltd is a family run business providing a full range of professional roofing services across Bath and the surrounding area. With over 20 years experience we have a well earned reputation built on quality workmanship and attention to detail. We offer a comprehensive roofing service from initial advice, to the maintenance and repair of an old roof, through to new roofs, roofing carpentry and leadwork. Sub-contracting for a variety of builders, we offer roofing services and lead fabrication where specialist knowledge and skills are required. WORKING TO THE PRINCIPLES OF BEST PRACTICE All our work meets current Building Regulation standards and we work within the parameters of these. In accordance with ‘The Building Regulations 2000’ a Building Regulations application must be made, by law, for any re-roofing works where more than 50% of the roof covering is to be replaced. We are able to offer advice and guidance on this and guide our clients through the process. BUY WITH CONFIDENCE Our business is approved by Bath and North East Somerset Council Trading Standards and we are proud members of the ‘Buy with Confidence’ scheme. This mean that not only have we undergone detailed checks by Trading Standards, but we have also given our commitment to trading fairly within the spirit of the law. Metal & seamless aluminium guttering Repairs, installations, supply & maintenance, Bristol & South West England We offer guttering services in all types of gutters, including metal, seamless aluminium, copper, zinc gutters and downpipes. All gutter services are available on a supply & install or supply only basis. Jones Roofing & Building is a well established, family run roofer in Bristol providing a wide selection of roofing services from minor repairs to extensive roof renewals. We take great pride in supplying first-class workmanship to our clients, specialising in all aspects of roofing – among them NEW Topseal GRP Flat Roofing Systems. Our clients can expect to receive priority in emergencies, and digital photographs of damage that has transpired can be supplied if necessary. Why should I hire Tetbury, Gloucestershire roofers to handle my roofing and guttering? There are a wide variety of materials available and your Tetbury, Gloucestershire roofers can help you decide which option is best. You might look at clay, slate or concrete tiles and your choice will depend on cost, the style of your home and the local roofing style. In the North West of the UK you will see a lot more slate tiling, whilst in the South East there is an abundance of clay roofs. 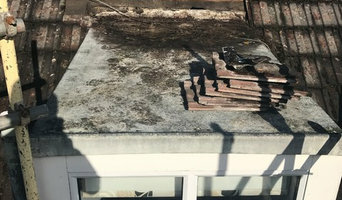 If you are in a conservation area you may find that your choices are more limited and you may need to look for reclaimed tiles; local Tetbury, Gloucestershire roofing contractors will be knowledgeable in this area, so ask for their advice, too. 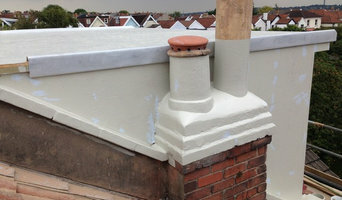 How do I find good Tetbury, Gloucestershire guttering specialists and roofers? Search for Tetbury, Gloucestershire roofers and gutter cleaning specialists in the Find a Pro section of Houzz. Read their profiles, try to match their core skills with the problem in hand – some specialise in flat roof repair using roofing felt, others only work with roof tiles – and then see what previous customers have to say about their quality of service. Ask for personal recommendations from friends and family. Ideally your shortlisted roofing and gutter specialists or experts are members of the National Federation of Roofing Contractors (NFRC), the Guild of Master Craftsmen or the Federation of Master Builders (FMB). Each trade organisation demands a high level of expertise and imposes a code of conduct on its members. TrustMark is a government-endorsed scheme that independently assesses tradespeople and allows you to lodge a complaint if necessary – look out for that. Call them round for a consultation and make sure you request a written quote. Cheapest is not necessarily the best; more importantly, who can you work with? Find Tetbury, Gloucestershire roofers and gutter cleaning professionals on Houzz. 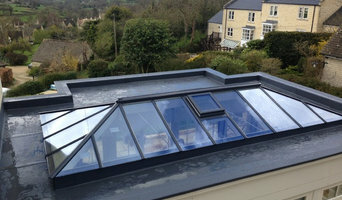 Narrow your search in the Professionals section of the website to Tetbury, Gloucestershire roofer or gutter specialist. You can also look through Tetbury, Gloucestershire photos by style to find a roofing project you like, then contact the specialists or roofing contractors who designed it.